Warren begins a long journey to find his best friend in Playtime Season 3. Playtime Season 3 is coming to Halo Waypoint on March 27 2012. Catch a new episode every Tuesday between now and May 29! For more details on Playtime Season 3, click here. 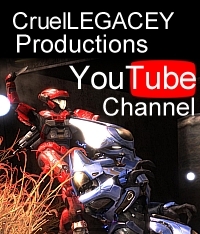 This entry was posted in halo reach, Playtime, Playtime News and tagged cruellegacey, halo waypoint, playtime season 3. Bookmark the permalink.